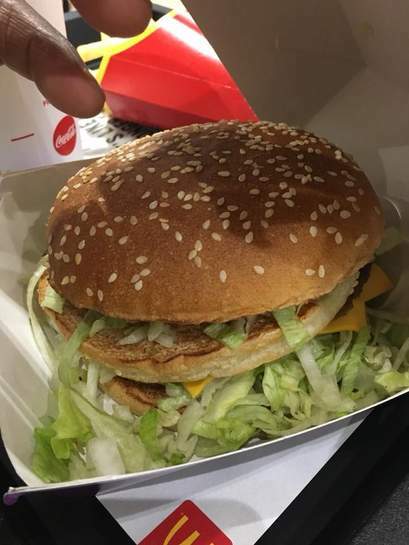 I saw the Mukky-d's deal and wondered if the a burger meal from Byron is much more expensive than the new Grand Big Mac meal at £6. I noticed you can get a the meal for a tenner, so it is more expensive, but only by four quid. And if you pay an extra quid, you can get a Byron Lager instead of a soft drink. Excludes Byron Canary Wharf, Cheapside and Cowcross Street. You could buy the meal and a separate Grand Big Mac, with a penny change to spare. Only more expensive by 66.66%, if you truly want to compare the two, it's …Only more expensive by 66.66%, if you truly want to compare the two, it's over half as much again...You could buy the meal and a separate Grand Big Mac, with a penny change to spare. "I saw the Mukky-d's deal and wondered if the a burger meal from Byron is much more expensive than the new Grand Big Mac meal at £6." And now you know it is! do Byron open 24hrs with a drive through? good burgers to be fair, very good; P15535 all over a McDirt! Be warned that the burgers are served rare (bloody); from a food hygiene point this is questionable, unless the patties are ground / prepared just before cooking. Rare steak = safe (all bacteria are on the outside & therefore killed when cooked). When you grind beef, the bacteria are now inside the burger and therefore higher risk if not thoroughly cooked through. Here's one of my pics of a Byron Burger..
good burgers to be fair, very good; P15535 all over a McDirt!Be warned that …good burgers to be fair, very good; P15535 all over a McDirt!Be warned that the burgers are served rare (bloody); from a food hygiene point this is questionable, unless the patties are ground / prepared just before cooking.Rare steak = safe (all bacteria are on the outside & therefore killed when cooked).When you grind beef, the bacteria are now inside the burger and therefore higher risk if not thoroughly cooked through. I've never been offered rare. Medium and medium rare only. Not all restaurants offer medium rare as well. You can't see the buns for the patties.. Incorrect, Byron serve their burgers Medium. A handful of restaurants are also offering medium rare due to a new piece of cooking equipment that will hopefully be rolled out across all the sites. So a burger is a burger, no matter the the quality and freshness of ingredients used? It really amazes me that people can compare Byron to McDonald's, just because they both sell burgers. You really have no idea. Byron is probably one of the few chain restaurants that get fresh ingredients delivered in everyday, and prepare most of their food, including desserts and sauces, in restaurant, unlike most other places that use frozen pre-packed and pre-cooked food. Also the fact that you get full table service instead of cueing up and cleaning after yourself in the end is literally worth nothing? If that's the case you might as well cook it yourself and save another £3 instead of going to McDonald's. At least you'd be eating better. The burgers are freshly ground every night and kept refrigerated at a temperature where bacteria is dormant. They're then cooked following strict and tested procedures, approved by the EHO, and served however you'd like them upwards from medium rare in some sites, or medium in others, depending on the grill they use, but definitely not rare. Just to be clear, I have worked for Byron, but not anymore. I have also worked and have knowledge of a few other chains, and can honestly say Byron is way ahead in food quality and freshness than most, including the company I currently work for. Sadly probably not for long, as clearly that isn't valued these days. The Home office never miss a Saturday brunch. Shame of chain. Want a cheeseburger? That'll be £11 ! 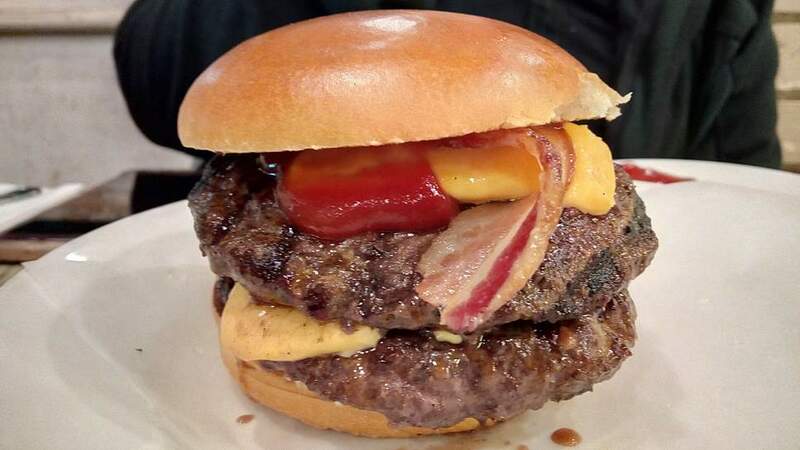 Yep, that's the double bacon cheese from the regular menu, lemme guess, minimum of £13 on it's own ? That's at least 3 Grand Macs or 4 Big Macs alone. So a burger is a burger, no matter the the quality and freshness of …So a burger is a burger, no matter the the quality and freshness of ingredients used? 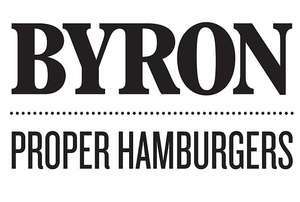 It really amazes me that people can compare Byron to McDonald's, just because they both sell burgers. You really have no idea.Byron is probably one of the few chain restaurants that get fresh ingredients delivered in everyday, and prepare most of their food, including desserts and sauces, in restaurant, unlike most other places that use frozen pre-packed and pre-cooked food.Also the fact that you get full table service instead of cueing up and cleaning after yourself in the end is literally worth nothing? If that's the case you might as well cook it yourself and save another £3 instead of going to McDonald's. At least you'd be eating better. You don't have to clean up after yourself.. Honestly I liked the burger I had the one and only time I went and will be going. But Christ I don’t care how fresh the meat is to charge £14/15 for the burger WITHOUT fries or a drink is crazy and the place isn’t what I would call posh. They then charge a crazy amount for some potatoes deep fried and put in a tiny metal bucket. It’s a restaurant chain that makes fresh burgers and puts them in a bun that’s about it. That is why sadly they will go bust soon despite all the efforts they’re going too to save the business. I’m sure a high number of customer visit and never return after a rather expensive meal out. I'd love to know where you're getting your prices from or why you're bring so biased. Yes, it costs more than McDonald's, but a Byron cheeseburger is £8, not £11 and it's a 6oz burger, so calling it small is again an exaggeration just to try to prove a point. But if you think that's expensive for a high street restaurant, I'll put it in perspective for you. That cheeseburger has just under £2 of ingredients in it, which means there's a food cost of about 25%, fairly standard for a restaurant. A margherita pizza from the likes of pizza express, sells for around £8 as well but costs them less than 50p to make, yet people don't moan as much about it being overpriced. Then again, they're not competing with Macdonald's. How long is this on for ? And what days and times can you get it pls ? I don't know if it has an expiry date it could be ongoing. The is every day, but times differ according to location. I haven’t been back since that sorry saga . Wasn’t surprised that they had to be bailed out last week, they would definitely have lost customers over it and have a smaller pool of staff to pick from.